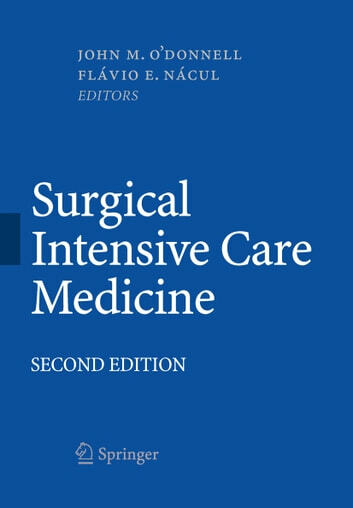 We are honored to present the second edition of Surgical Intensive Care Medicine. Our first edition was considered to be an important contribution to the critical care literature and received excellent reviews from Critical Care Medicine, Chest, and Anesthesiology. In the second edition, the basic organization of the book remains unchanged, being composed of 60 carefully selected chapters divided into 11 sections. The book begins with general topics in primary intensive care, such as airway management and vascular cannulation, followed by categories based on medical and surgical subspecialties. While the chapters discuss definitions, pathophysiology, clinical course, complications, and prognosis, the primary emphasis is devoted to patient management. The contents of the current edition have been comprehensively upgraded and the chapters retained from the first edition have been thoroughly updated, revised, or rewritten. 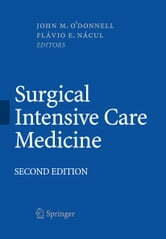 In this second edition, some new topics have been added including Postoperative Care of the Obese Patient, Postoperative Care of the Pancreas Transplant Patient, Optimization of High-Risk Surgical Patients, Post- erative Alcohol Withdrawal Syndrome, Ethics and End of Life Issues, Improving the ICU, and Continuous Medical Education in Intensive Care Medicine. We are extremely fortunate to have high-quality contributors, many of whom are nationally and internationally recognized researchers, speakers, and practitioners in Cri- cal Care Medicine. An important feature of this latest edition is the geographical diversity of its authors. Most are based in the United States, but colleagues from Canada, England, Ireland, Germany, Belgium, Holland, France, Italy, Portugal, and Australia have also made notable contributions.